Warner Bros. Interactive Entertainment and the LEGO Group made the recent announcement that they would release video games based on the licensed properties of Universal Pictures and Marvel to tie-in with the blockbuster films’ release this year. It’s funny cause my brother and I were talking about what licensed games LEGO would release in 2015 while playing LEGO Batman 3: Beyond Gotham a few weeks ago. We both predicted a Jurassic World and Avengers game based on the implied Jurassic World teaser in Beyond Gotham plus LEGO’s pattern for games. According to LEGO, “Following the epic storylines of Jurassic Park, The Lost World: Jurassic Park and Jurassic Park III, as well as the highly anticipated Jurassic World, LEGO Jurassic World™ is the first videogame where players will be able to relive and experience all four Jurassic films.” They even released a teaser for the game! Check it out below! LEGO Jurassic World will be available in June for Xbox One, Xbox 360, PlayStation 4. PlayStation 3, PlayStation Vita, Nintendo Wii U, Nintendo 3DS, and PC. Meanwhile, the upcoming LEGO Marvel’s Avengers game, which might be a follow up to LEGO Marvel Superheroes (2013), will feature characters and storylines from both Marvel’s The Avengers (2012) and the upcoming Marvel’s Avengers: Age of Ultron (2015)! 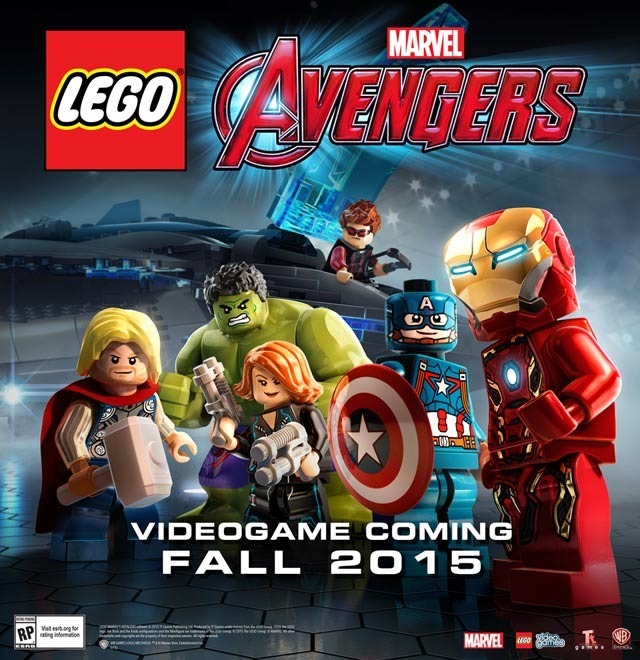 LEGO Marvel’s Avengers will be available in the Fall of 2015 for Xbox One, Xbox 360, PlayStation 4. PlayStation 3, PlayStation Vita, Nintendo Wii U, Nintendo 3DS, and PC.